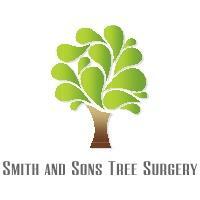 We are Smith and Sons Tree Surgery, we are a family run business and have over 14 years of experience in all aspects of tree care. Simon has worked as a subcontractor for many companies over the years. This includes domestic work and contracts. Including work on the power lines, railway and highways. He is an excellent climber and has all of the necessary qualifications and insurance. Simon mainly works in the Swadlincote and Burton Upon Trent area. All aspects of tree and hedge care are undertaken including, site clearance, hedge trimming, tree reductions, pollarding and removal, plus stump grinding, hedge planting, paddock maintenance mowing spraying and much more!